If you have migrated a website or you recently upgraded MySQL and you face occasional problems with dropped connections to remote Web site or application it is likely that the problem is rooted either in Apache being unable to handle multiple connections, e.g. you will get a lot of 503 errors in log or MySQL dropping connections due to someout or MySQL / PHP bug that occurs after packages upgrade. So how to check is MySQL dropping connections? Use below command one liner shell script and check for Aborted conncetions a relatively high number is indication MySQL is dropping connections from PHP script or local / remote application such as SOAP or XSLT connects. 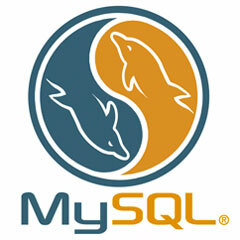 Another indicator for MySQL dropping connections is if you find MySQL to have many slow queries, that would mean the slow queries won't be processed on time and there will be consequential connection drop outs.